When you delete files and then empty the Recycle Bin, you don't actually erase the information, you just delete the reference to it so that the operating system can't find it. All the data is still there and, unless it's overwritten, can be easily recovered using file recovery software. If you need to remove all traces of a virus or you're planning on recycling or disposing of your hard drive or computer, wiping your hard drive using data destruction software is the best way to protect yourself. Data destruction software is just one of several ways to completely erase a hard drive. Also, if a complete hard drive wipe isn't what you're after, check out our free file shredder software list for programs better suited for individual file destruction. Darik's Boot And Nuke, usually referred to as DBAN, is the best free data destruction software available. DBAN is freely available in a ready-to-go ISO format, so all you need to do is burn it to a CD or flash drive and then boot from it. The DBAN program's menu interface is also very easy to use. DBAN is an open source project and a great tool that should certainly be your first choice if wanting to completely erase a hard drive. However, you should know that it does not support SSDs. Because DBAN works from outside of the operating system, it can work with any version of any OS, like Windows, macOS, etc. CBL Data Shredder (Bootable Disc). CBL Data Shredder comes in two forms: you can either boot from it via a disc or USB stick (like with DBAN) or use it from within Windows like a regular program. To erase the hard drive that's running an operating system, you're required to boot to the program, whereas deleting another internal or external drive can be done with the Windows version. In addition to the above, you can create your own custom method to include 1s, 0s, random data, or custom text with a custom number of passes. The bootable version tells you how large each drive is but that's about the only identifiable information given, whereas the Windows version makes it easier to know what drive you're about to wipe clean. The Windows version of CBL Data Shredder works with Windows XP through Windows 10. MHDD is another data destruction tool that utilizes Secure Erase to erase both mechanical and solid state hard drives. The thing I like best about MHDD is the variety of easy-to-use forms that it's downloadable in. You can download an ISO file for disc or flash drive booting, a floppy image, the program itself ready for your own boot disk, and more. There is plenty of documentation, a FAQ, and even a forum for the MHDD data destruction program, all accessible from their download page. 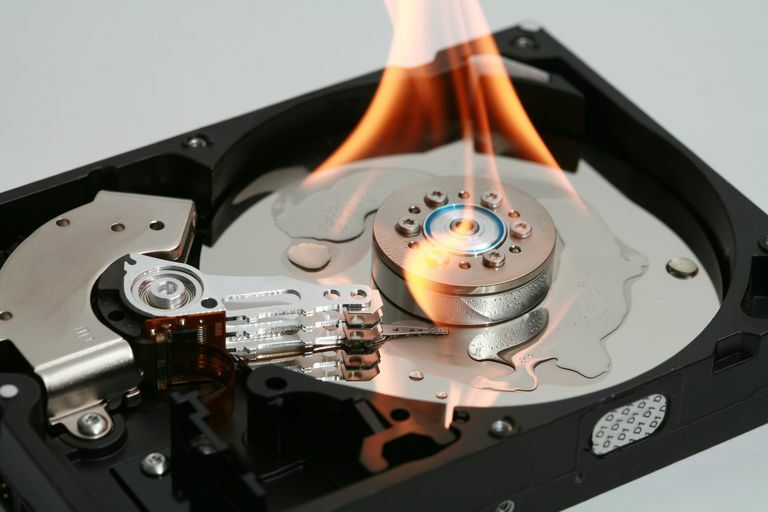 Like the bootable data destruction programs from above, MHDD can erase any hard drive so long as you use a working operating system to burn the program to a disc/floppy/drive. MHDD only utilizes the Secure Erase method for data destruction if you use the FASTERASE option available in the program. PCDiskEraser is a free data destruction program that runs before the computer boots up, like DBAN and the other programs from above. Using PCDiskEraser is really easy because you simply select the disk that should be erased, confirm the selection, and then PCDiskEraser immediately begins shredding the whole disk. I was unable to use my mouse in PCDiskEraser even though a cursor was available. I had to use the tab and space keys to move around within the program, which wasn't a huge concern but did make using it a little harder than it had to be. Active KillDisk is a freeware, scaled-down version of the KillDisk Pro data destruction tool. Like the above bootable data destruction software, you can download a simple ISO file for burning to disc or USB drive. You can also install a regular application to run KillDisk from within the OS. KillDisk works with both regular hard drives and solid state drives. Unfortunately, some of KillDisk's settings work only in the professional version. KillDisk works in Windows 10, 8, 7, Vista, and XP. There's also a Linux and Mac version available. Format Write Zero in Command Prompt From System Recovery Disc. Beginning in Windows Vista, the format command was granted the ability to write zeros during the format, giving the command basic data destruction abilities. Since all Windows 10, Windows 8, Windows 7, and Windows Vista users already have the format command at their disposal, this is a quick and effective data destruction method. Granted, you won't be able to satisfy some stringent data sanitization standards, but if that's not a concern then this option is perfect. The format command included with Windows XP and prior operating systems does not support this option. However, there is a way to use this method on a computer with Windows XP if you have access to another computer with Windows 7, 8, or 10. The instructions I link to here explain how to use the format command either as a data destruction tool from a bootable disc, enabling you to completely erase the primary drive, or as a way to erase any other drive from Command Prompt from within Windows. Macrorit Data Wiper is different than the above programs in that it doesn't run from a bootable disc. Instead, it's a portable program that you must open from your computer like you would a regular program. The program has a very nice look to it and is super easy to use. Just select a hard drive (regular or SSD) that should be erased and choose a wiping method. Click the large Wipe Now button, type "WIPE" in the box to confirm you want to continue, and then click Start to begin the process. Windows is the only supported operating system, and because you have to run Macrorit Data Wiper from the hard drive, you're unable to use it to wipe the primary drive. I tested Macrorit Data Wiper in Windows 10 and Windows 8, but it also works in Windows 7, Vista, XP, and Server 2008 and 2003. Eraser is pretty easy to use and serves as a well-designed data destruction program with some unique features. As far as advanced options go, Eraser wins the data destruction competition hands down. With Eraser, you can schedule data destruction with all the precision you'd expect with any scheduling tool. This program should work with both traditional drives and SSDs. Because Eraser runs from within Windows, you can not use the program to erase the drive that Windows runs on, usually C. Use a bootable data destruction software program from this list or see How to Format C for other options. Eraser works in Windows 10, 8, 7, Vista, and XP. Eraser also works on Windows Server 2008 R2, 2008, and 2003. Freeraser, very much unlike some of the other programs on this list, is a full-fledged Windows application, complete with a setup wizard and Start Menu icons. I like Freeraser so much because it's incredibly easy to use. It places a Recycle Bin-like icon on your desktop, so you just need to drag all of a drive's files/folders into the bin for everything, subfolders and all, to be forever erased from your computer. Freeraser can only delete files from a whole hard drive if it's connected over USB. Internal hard drives are not supported. Freeraser can also be used as a portable program by choosing that option during setup. Freeraser works with Windows 10 through Windows XP. Disk Wipe is a completely portable data destruction tool that you run from within Windows. Disk Wipe is really easy to use because it walks you through a wizard to perform the data wipe. Because it requires the OS to be running to work, it can't be used to erase the drive you have Windows running on, but it should work just fine for other mechanical and solid state drives. Disk Wipe is said to work only in Windows Vista and XP, but I tested it in Windows 10 and Windows 8 without any issues. Hardwipe is another data destruction program that runs from inside Windows. You can clean free space or even wipe an entire drive (SSD or traditional), so long as it's not your primary drive. Hardwipe is easy for anyone to use. Just load the drive that should be cleaned and choose a data sanitization method that should be used. Hardwipe works with all the most recent versions of Windows, from Windows XP to Windows 10. A small advertisement is always displayed in the program, but it’s not too intrusive. Secure Eraser is a software suite that serves not only as a registry cleaner but also as a data destruction tool. After selecting the drive or partition that should be wiped, just click Start deletion to choose one of the above methods. After Secure Eraser has done its job, you can set it to reboot the computer, exit, or shutdown the computer. Because Secure Eraser runs from within Windows, you can't use it to erase the hard drive that it's installed to (like the C drive). However, it does work with both traditional HDDs and SSDs, as well as USB-connected storage devices. Secure Eraser can be installed on Windows 10 through Windows XP, as well as Windows Server 2012, 2008, and 2003. Secure Eraser attempts to install another program during setup that you must deselect if you don't want it. PrivaZer is a PC cleaner that can also securely delete all the files/folders from a hard drive. Right-click context menu integration is permitted as well as some unique wiping methods you won't find in many of the other programs listed here. To use PrivaZer to wipe away a whole drive, choose Delete without a trace from the dropdown menu, select Sensitive directories, click Ok, and then choose the hard drive. It works with mechanical drives and SSDs. These methods can be changed by clicking the See advanced options link on the Delete without leaving a trace window before starting. A portable version is also available from the download page. Because PrivaZer can do many other privacy cleaning tasks like deleting old files and erasing internet activity traces, it can be a confusing process to use just the data wipe feature. PrivaZer works in 32-bit and 64-bit versions of Windows 10, 8, 7, Vista, and XP. PC Shredder is a small, portable data wipe tool that runs like any other software in Windows. I like that PC Shredder is portable and has a simple interface. It doesn't seem apparent that you can wipe an entire disk, but if you choose Add Folder, you can simply select a disk and it will erase everything that’s on it. PC Shredder is said to work in only Windows Vista and XP, but I didn't have any problems using it with Windows 10. AOMEI Partition Assistant Standard Edition is a free disk partitioning tool for Windows that includes a disk wipe feature for both traditional and solid state drives. To wipe an entire disk with AOMEI Partition Assistant Standard Edition, just select any disk from the panel to the right and then click Wipe Partition from the Partition menu option. This program is primarily used as a disk management program, so finding the data wipe feature among all the other settings can be a little daunting. However, you must confirm every operation you try to perform, so it’s hard to accidentally cause harm to any files. AOMEI Partition Assistant Standard Edition works with Windows 10, 8, 7, Vista, and XP. On the final download page, be sure to choose the link that says "External mirror 1" and not a trial or "full version" link. Remo Drive Wipe is a nice looking data destruction program that runs inside Windows. You can wipe an entire disk with one of three different sanitization methods. Remo Drive Wipe is a pretty simple program. It walks you through a type of wizard where you select the drive to wipe and then choose a deletion method. Remove Drive Wipe is said to work in Windows 10 down through Windows XP, as well as Windows Server 2012/2008/2003. I tested it in Windows 8 without any issues. While CCleaner is normally used as a system cleaner to remove temporary Windows files and other internet or cache files, it also contains a tool that can wipe free disk space or completely destroy all the data on a drive. CCleaner works from within the operating system, so it can't wipe the data off the same drive that Windows is installed to. However, it can wipe the free space of that drive. You can choose more than one drive at once for CCleaner to wipe them all consecutively. It supports both SSDs and mechanical drives. Once CCleaner is opened, go to the “Tools” section and then select “Drive Wiper” to access this data wiping feature. Be sure to choose "Entire Drive" from the dropdown menu. CCleaner can be installed to Windows 10 through Windows XP. File Shredder is a data destruction tool that can erase a disk full of files by simply adding the drive's contents to the program. It recognizes both traditional and solid state drives. File Shredder isn't as easy to use as some of these programs because you can't drag the drive itself into the program. Instead, you have to drag and drop all the files and folders you want to delete. However, you can grab the contents from the root of the drive and drop them into File Shredder. File Shredder works with Windows 10, 8, 7, Vista, XP, 2000, and Windows Server 2008. Hard Drive Eraser is a portable program that can wipe all the data off of a secondary hard drive. The program is very easy to use. Just choose the drive, select one of the methods from above, and choose the file system that the drive should end up being. This data wiping program works with both SSDs and mechanical HDDs. Hard Drive Eraser is said to work with Windows Vista and XP only, but I could also use it just fine in both Windows 10 and Windows 8. Super File Shredder is easy to use data destruction program that supports drag and drop to quickly delete entire hard drives, both SSDs and traditional hard drives. Just start by choosing a sanitization method from the settings, and then add the entire hard drive to the queue or drag and drop it from Windows Explorer. Like many of these data destruction programs later in this list, Super File Shredder can only wipe drives other than the one you're using. Super File Shredder works with Windows 10, 8, 7, Vista, and XP. TweakNow SecureDelete has a nice, clean interface with simple buttons. It’s really easy to wipe clean entire hard drives with this program. Like many similar programs from this list, TweakNow SecureDelete lets you drag and drop files and folders directly into the program to remove them. If you're erasing an entire hard drive, drag everything over, subfolders and all. TweakNow SecureDelete is said to work only with Windows 7, Vista, and XP. However, I tested it in Windows 10 and Windows 8 without any issues. MiniTool Drive Wipe is a small, simple program that runs from inside Windows like a regular program. MiniTool Drive Wipe is easy to use. Just select whether you want to wipe a partition or whole disk and then choose a sanitization method. There aren't any unnecessary tools or settings that can be confusing. You can use this program on both traditional and solid state drives. MiniTool Drive Wipe can run on 32-bit and 64-bit versions of Windows 10, 8, 7, Vista, and XP. Windows 2000 is also supported. XT File Shredder Lizard is another data destruction program that works in all the newer versions of Windows, like Windows 7 and Windows 10, and probably older ones, too. To wipe a whole hard drive of its data, simply choose to add a folder and then select the root of the drive you wish to securely erase. If that doesn't work, add all the root folders, but just not the actual drive letter. You can erase files on both SSDs and traditional hard drives. The program is a bit outdated, and therefore is a little different to move around in. Free File Shredder is a data wiping program that has a few unique options and walks you through a wizard to securely delete files on a hard drive. This program is very easy to use. Start by choosing Folder and then selecting the root of the drive you wish to delete. Then choose one of the sanitization methods and how many times you want the method to be repeated before stopping. Because Free File Shredder works from inside the Windows operating system, you can't use it to remove files you're currently using. This means you can't use it to erase the primary drive that has Windows installed. Free File Shredder is said to run on Windows 8, 7, and XP, but I was able to use it as advertised on Windows 10 as well. WipeDisk is a portable hard drive wiper that's pretty easy to use and supports several data wipe methods. It works by selecting a drive and then choosing a wipe method. You can log activities to a file, optionally wipe just the free space, and choose custom text to use for overwriting data. After clicking Wipe, you must read and confirm a four character code to ensure you really want to use WipeDisk to erase all the files, which is a handy obstacle used to avoid accidentally erasing a whole hard drive. I tested WipeDisk on Windows 10 and Windows 8, but it should also run on previous versions of Windows too. WipeDisk defaults to German when it's first opened, but it can be easily changed from the Extras menu. Also, the download is a RAR file, which means you need an unzip utility like 7-Zip to extract out the program. Free EASIS Data Eraser is another data destruction program that's super simple to use. When you first open the program, select any hard drive from the top list and then choose the partitions you wish to wipe data from. Unfortunately, I've found that clicking the Abort button to stop a wipe results in strange behavior. The program shuts down but then appears to still be in progress when it's reopened. It seems you must restart the computer to return Free EASIS Data Eraser to its regular state. Fortunately, though, the data is still destroyed effectively. Free EASIS Data Eraser officially supports Windows 7 through Windows 2000, but I was also able to get it to run without issues on Windows 10 and Windows 8. Puran Wipe Disk is a super simple program that can wipe all the files and folders on a drive. Both internal and external drives are compatible and you have the option to wipe just the free space or the entire disk. Like other non-bootable, installable programs in this list, you won't be able to use this program to wipe your C drive. Puran Wipe Disk works in Windows 10, 8, 7, Vista, and XP, as well as Windows Server 2008 and 2003. As one of the more simpler data destruction programs, BitKiller lets you add an entire hard drive to the list of files to destroy without any extra options or buttons to make things confusing. Plus, it's completely portable. Because there isn't a "hard drive" section to BitKiller, you need to choose Add Folder and then select the hard drive you want to erase. Something I don't like about BitKiller is that you can't cancel the file shredding once it has started. There is a cancel button but it's not clickable once you've began deleting a hard drive. I tested BitKiller in Windows 10 and Windows 8, so it should also work in older Windows versions. BitKiller runs from inside the OS, which means you can't use it to erase the hard drive that you're using to run Windows. To erase the C drive, you'll need to choose one of the programs from the beginning of this list that boots from a disc. It's easy to erase a whole hard drive with Simple File Shredder because it's as straightforward as browsing for the drive and clicking Shred Now. If you choose the Random Data wipe method, you can choose how many times (1-3) you want the data overwritten. Drag and drop and Windows context menu integration is supported, as well as password protection for the whole program. Simple File Shredder performs just as the name suggests - it's very easy to use and isn't as complicated as some of the others on this list. I was able to get Simple File Shredder to work only in Windows XP. Ashampoo WinOptimizer Free File Wiper. Several diagnostic, cleaning, and optimization tools are included in Ashampoo WinOptimizer Free, and one of them is made specifically for erasing data from a hard drive. Ashampoo WinOptimizer's mini program, called File Wiper, lets you erase the contents of a hard drive by choosing to load a folder, and it can also erase the contents of the Recycle Bin using any of the sanitization methods from below. In the options menu, you can optionally choose to keep empty folders after wiping a hard drive and/or to rename files/folders before wiping them, which can provide greater privacy. File Wiper is located in Modules > Privacy & security. Ashampoo WinOptimizer Free officially works with just Windows 7, Vista, and XP. However, I used it in Windows 10 without any problems, so it should also work in other versions of Windows. AbsoluteShield File Shredder is another data destruction program that's much like the others in this list. To remove all the data on a hard drive, just go to the File menu, choose Add Folder, and then select the root of the hard drive. Instead of deleting a hard drive's files by opening the program first, you can do so from the right-click context menu in Windows Explorer by right-clicking any hard drive and choose AbsoluteShield File Shredder from the menu. I tested AbsoluteShield File Shredder in Windows 10 and Windows XP, so it should also work with Windows 8, 7, and Vista. The shredding method can be changed from the Action menu. DP Secure WIPER (DPWipe) is a small portable tool that works by dragging and dropping a disk drive onto the program and clicking Start wiping to completely erase all the files. You can also enter the path of the drive into the text area. In addition to the above, you can also set DPWipe to clean a hard drive using no special method, which results in a simple, non-secure normal delete. DPWipe doesn't delete folders when wiping a drive. All the files inside the folders are removed just fine, but the folders themselves will remain. I was able to get DPWipe to work in Windows 10 and Windows XP, which means it will likely work in Windows 8, 7, and Vista as well. To install DP Secure WIPER to a portable location, be sure to change the default install directory during setup. Alternatively, you can use 7-Zip to extract the setup files to a portable location. DeleteOnClick is simple to use because it has no buttons, menus, or settings. Use the program by right-clicking a hard drive and choosing Securely Delete. You'll be prompted to confirm the removal of all the files. DeleteOnClick only supports one data wipe method, so it's not nearly as advanced as most of these other programs. Because DeleteOnClick runs from inside Windows, it can't be used to erase the primary drive that Windows is installed on. DeleteOnClick can be installed on Windows 10 through Windows 2000. CopyWipe is a data destruction tool that can run from a disc using CopyWipe for DOS or from inside Windows with CopyWipe for Windows, though both methods are text-only, non-GUI versions. CopyWipe for DOS has an Entropy Source option you can define before erasing a drive, which lets you choose how random data should be created. For example, you can enter random keys on the keyboard to generate entropy for the operation or choose to use the current time and speed of the computer. There are hardly any options with CopyWipe, and although the interface is in text form and not too user-friendly, it's actually pretty simple to use and makes you confirm that you want to wipe a drive before starting. CopyWipe for Windows is entirely portable, which means it doesn't need to be installed before you can use it. It runs on Windows 10, 8, 7, Vista, and XP. SDelete in Command Prompt (Windows 7). SDelete, short for Secure Delete, is a command-line based data destruction tool and can be run from the Command Prompt in Windows. SDelete is part of the Sysinternals Suite of free system utilities available from Microsoft. SDelete does not utilize Secure Erase even though its name might lead you to think otherwise. Like some of these other programs, SDelete runs from within Windows, so you can not use the program to erase the C drive. Use another data destruction software program that you can boot to or see How to Format C for some other ideas. SDelete works with all Windows operating systems newer than Windows XP, as well as Windows Server 2003 and higher. There are several drawbacks to using SDelete and the information on their download page has a fair discussion of those issues. If you need a full-drive data destruction program then SDelete isn't a good choice, but it could be very useful in specific situations. Wise Care 365 is a system optimizer program that includes several tools, one of which is for data destruction. Just load a hard drive using the Add Folders button and click Shred to immediately start the process. You can also shred files from Windows Explorer by right-clicking and choosing Shred file/folder. Wise Care 365 can also completely remove deleted files by overwriting them with more secure sanitization methods than the data destruction tool. This tool is called Disk Eraser, located in the Privacy Protector section of Wise Care 365. Wise Care 365 works with Windows 10, 8, 7, Vista, and XP. There's also a portable version available from within the installable version. There isn't a confirmation prompt after clicking the Shred button, so ensure you're ready to remove the files before clicking to do so. ProtectStar Data Shredder is a free data destruction program that can erase a whole hard drive at once, and even works from the right-click context menu in Windows Explorer. Just choose Erase files and folders from the main screen and then click Add Folders to browse for the hard drive to wipe. ProtectStar Data Shredder sometimes prompts to buy the professional version but you can easily click USE FREEWARE to bypass them. I was able to run ProtectStar Data Shredder in Windows 10, 7, and XP, but I'm sure it also works in Windows 8 and Vista. ProtectStar Data Shredder is no longer being updated by its developers, but this download link still contains the program. File Shredder in Baidu Antivirus. Baidu Antivirus is a free antivirus program that includes a tool for completely wiping all the data off of a hard drive. The option to enable this is in Settings > Advanced Settings > Add "File Shredder" to Right-Click Menu. Just right-click any hard drive and click File Shredder to wipe all the data. You can choose to run the above wipe method a few times over to help prevent file recovery. Both Baidu Antivirus and Baidu PC Faster can run in Windows 10, 8, 7, Vista, and XP. Another program from Baidu called PC Faster can also shred hard drives by using the exact same file shredder program as Baidu Antivirus. hdparm is a command line based tool that can be used, among other things, to issue a Secure Erase firmware command to a hard drive. Using hdparm as a data destruction software program is risky and, in my opinion, unnecessary with a great Secure Erase based data destruction tool like MHDD, listed above. The only reason I've included the hdparm method of issuing a Secure Erase command is because I want to have a comprehensive list of options available. I don't recommend that you use hdparm unless you're very familiar with command line tools. Misuse of this tool could cause your hard drive to become unusable. hdparm works with Windows 10 through Windows XP. This hdparm version runs from within Windows, so you can't use it to erase the drive Windows is installed on. If that's what you want to do, you'll have to use a bootable data destruction software program instead. HDShredder is a data destruction program that's available in two forms, both of which work with one data wipe method. You can use HDShredder from a disc or flash drive and boot from it for erasing the drive that has Windows installed on it, like the C drive. Alternatively, you can install HDShredder to Windows like a regular program and use it for securely erasing data from a different drive like a flash drive or a different hard drive. The Windows version can be installed on Windows 10, 8, 7, Vista, and XP, as well as Windows Server 2003-2012. Several additional features appear to work in this free edition until you try to use them, after which you'll be told you need to upgrade to a paid version to use it.